A common route of discussion about abortion, at least in the online world, goes something like this: Person “A” will talk about all the unwanted children in the world. Person “B” will point out that there are millions of people who want to adopt. “A” will then talk about all the children in foster care, and if people who are concerned about abortion were serious then why aren’t they adopting all those children (often with accusations of hypocrisy)? I have spent much of my career working with children and youth in government care (including foster care and group homes). I also have been part of the pro-life movement. I see the assumptions inherent in this argument as problematic. The matter of children being present in foster care is a separate issue from the morality of abortion. There are millions of children and youth, both in foster care and not in the system, who have a lot of needs. but people being in need is not a reason to deny life to totally different human beings. If there are ethical arguments to be made about whether or not unborn humans have a right to life, these arguments do not rest on whether or not there are other humans with needs. What are we saying when we imply abortion is a solution for the problems that can come with being in foster care? That it is better to be dead than be in foster care? Do foster children see themselves as people whose lives are not worth living? Do we? How do we have compassion and hope for people if we make these implications about their worth? People who ask why all the children in foster care are not being adopted have a basic misunderstanding of foster care. Its primary purpose is not to take children away from their birth families in order to release them for adoption. Its main purpose is to give children safety and health when there are serious problems in their birth family that prevent their well-being, while biological family has time to address issues. According to one report, three out of five children in foster care return to birth parents or other family. In my own province, even children designated as being in permanent care (the parent no longer has legal rights) might not be released for adoption. This could be for many reasons. Although policies direct that a child welfare agency has to go to court for permanent status after the child has been in care for a certain time period, the agency might still hold out hope that the birth family will be able to reapply for custody at some point in the future. It can be difficult to tell who can make changes to enable them to provide adequate care in time. Some agencies have policies simply not to release any children in their care for adoption. In other cases, children might be doing well in their foster homes, and there is no benefit to the child to break that attachment and put the child in an adoptive home. Foster parents, for many reasons (the financial costs due to special needs of children being one), may not be at a place where adoption of the child in their care is possible, even if it is desired. Another thing to keep in mind is the needs of foster children ought to be met with adequate knowledge and skill. Simply wanting to be a caregiver and being a compassionate person is a start, but it is not enough. I used to do home studies for prospective foster parents, and there were applicants we did not accept. Children in government care have been through neglect or abuse and sometimes their emotional states and behaviours can be extreme. Foster parents need to have an extra something that matches them with the requirements of the children who will be placed in their homes. When I have pointed this out, I have been accused of devaluing foster children, of saying they are too damaged to be adopted. Far from it. I value foster children highly, which is why I think it is vitally important that they be in homes or other places where there is a match between their characteristics and what caregivers provide. A simple, “Well everyone who is pro-life should foster” is a foolish idea. 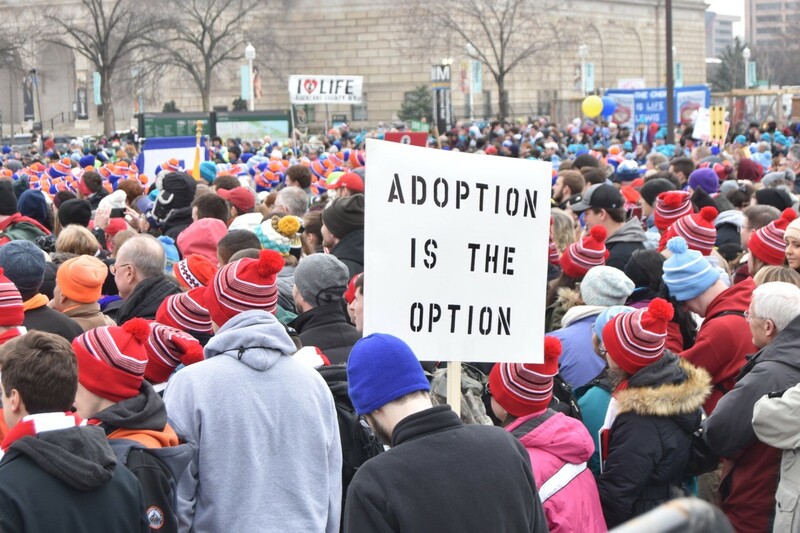 However, it is apparent that there are tons of people who are pro-life who do adopt and foster children, even children who come to their homes with very high needs. Research doesn’t seem to reveal links between views on abortion and tendency to adopt and foster, but it seems that Christians are more likely to adopt and foster, and Christians are more likely to be pro-life. This does not imply that all foster parents are Christian or pro-life. I have known foster parents with a variety of religious and ethical beliefs. However, abortion proponents will sometimes state their opinions as if pro-life people are doing nothing for children in care, and that is inaccurate. There are also arguments that if women have fewer abortions, an already taxed system will be overwhelmed. This ignores a lot of factors. First of all, there is not automatic link between not having an abortion and a child going into foster care. If women decide not to abort, their next options are generally parenting and adoption. Foster care is usually not a consideration, or if it is, it can be for a brief period of time while a parent increases their capacity to parent. Many children go into kinship care as well. Second, if abortion is less available, women and men might not view it as a failsafe and demonstrate behaviours less likely to result in an unintentional pregnancy, such as exercising discernment in sexual decision making and using effective birth control methods. We can work together at decreasing the amount of pregnancies in situations where the parents are unprepared to engage in the task of parenting. Addictions services that are easily accessible and reduce barriers (such as access to child care while in treatment). Counselling and support services for all groups: birth parents to address issues leading to apprehension, foster children for trauma, and foster parents for support and resources in the difficult job they have undertaken. Adequate financial support. Poverty is a huge stress for birth families and can lead to highly stressed households, which can be a factor in abuse and neglect. Foster parents could be more adequately compensated in order to enable more families to foster. For example, a family may want to foster but may not be able to afford a home with more bedrooms. Health care access and coverage, including effective contraception.